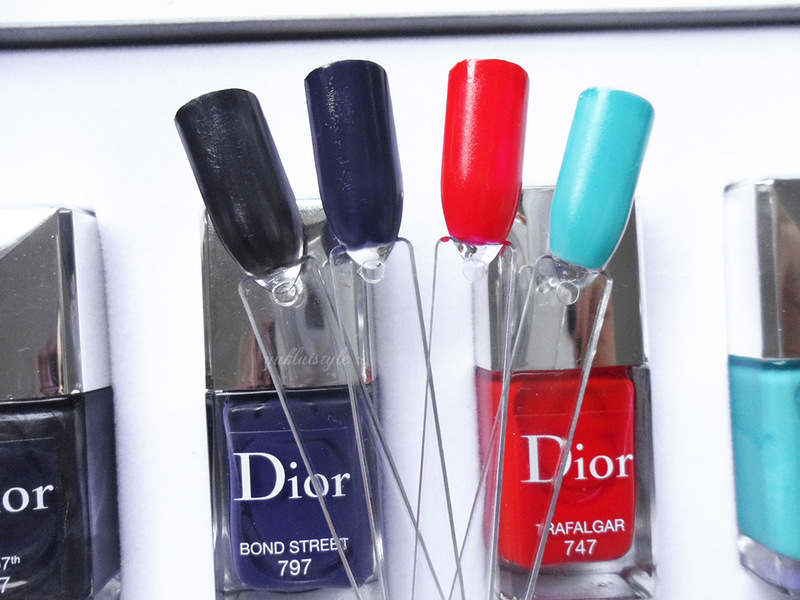 Ah Dior nail polishes! I’d like to thank my aunty for getting this for me. 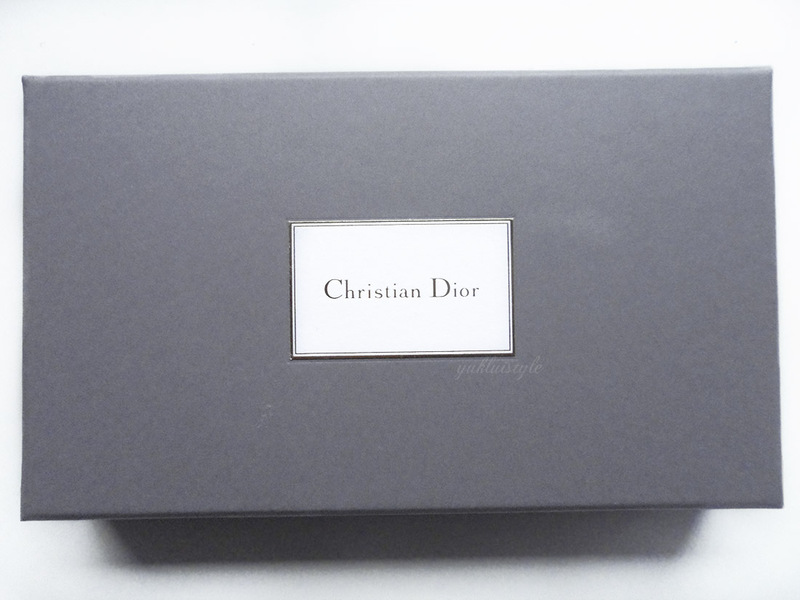 I believe this was the free gift she had received as she had purchased two other Dior goodies for me as well. This was in Hong Kong, not sure what the free gift is in the UK or is there no free gift? How beautiful and clean is this presentation? This is definitely a real treat. I’ve only used Bond Street and am loving the shade and brush! Easy to use and two coats are needed. I’ll definitely will have to review these polishes properly when I’ve tried them all. Dior should definitely re-release more of their limited edition polishes, and as a set too like this one, more often. Have you tried any Dior nail polishes? I've never tried these before but I love the colour Mirage! Never tried Dior polishes but this packaging it comes with it's so pretty and perfect for Christmas! I love Trafalgar, can't really beat a classic red can you. Which is your favourite out of the set? Gorgeous set! <3 The red one looks so pretty! Bond Street is ♥! And I so wanted to try Dior nail polishes! OMG!! Love all these colours <3 Never try Dior nail polishes before but it looks amazing! What a beautiful set! i love the look of Saint Tropez, what a stunning shade. Those colors are Gorgeous!! I've yet to try Dior but hopefully one day I will treat myself to a few. I have not tried any high nail polish really apart from OPI but these look really nice especially the light blue shade – 'Saint Tropez'. I am glad to hear Saint Tropez – Tiffany Blue is back. This is one stunning shade! i only own 1 dior nail polish and i have to say they're pretty good in terms of both pigment and staying power! The colors look great! The Saint Tropez-Tiffany Blue is the perfect shade I'm looking for my nails right now. Beautiful colours! I really love the Red.. It's not too loud, just the right red!! Like the Saint Tropez too! All of these shades look so beautiful, would love to see your NOTD with them. The color looks so lovely, I like bind street color the most. the shades all look amazing! you're so lucky that you got them as a gift! I haven't ever tried Dior polishes before but I'm really loving the navy one! Love all the shades! Especially the Blues that are fall perfect! New Post – xoxo Chaicy – Style..A Pastiche! OMG Those are probably the best gifts with purchase I've ever laid my eyes on! omg look at those incredible color.. 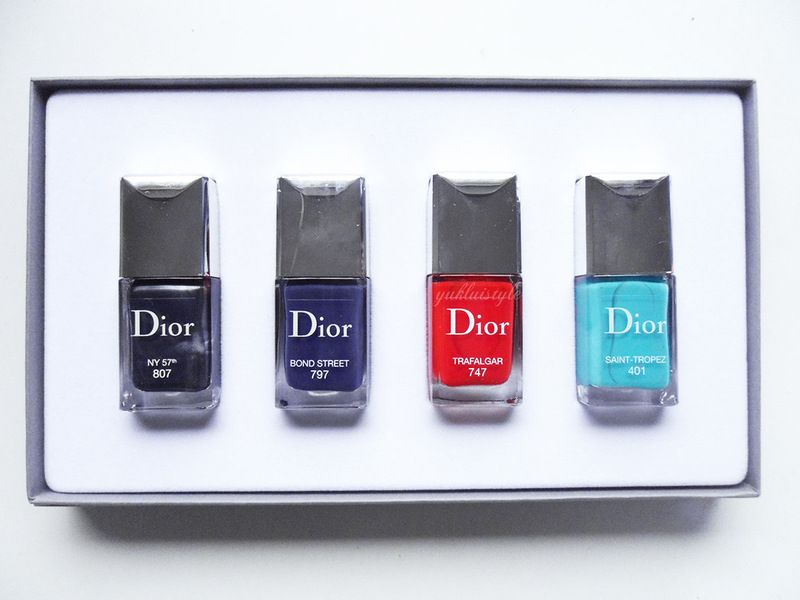 I love the colors… But I have never tried Dior polishes before.